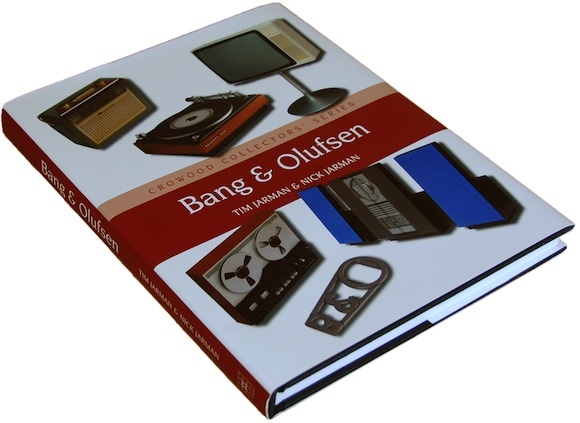 Written by the authors of this website, this book is an invaluable resource for collectors, enthusiasts and Bang & Olufsen owners alike. For the first time, the story of Bang & Olufsen is told through the products they made, illustrated with hundreds of original colour photographs. "An essential volume for a collector and an enjoyable read for any armchair admirer... always fun and never over formal." This high-quality hardback book contains over 400 beautifully presented colour photographs, covering 4 decades of Bang & Olufsen products. The book includes detailed information that anyone looking to start or expand a Bang & Olufsen collection will find indispensible. From advice on locating and buying equipment to tips on making the most of what you already have, everything is here to help you build up a collection to be proud of. "The crowning glory will always be the quality of the photographs, which are the best that I have seen." The book’s unique ‘System Builder’ section shows which of the many units work well together, in comprehensive and easy to understand tables, so you can put together working systems without trial and error.